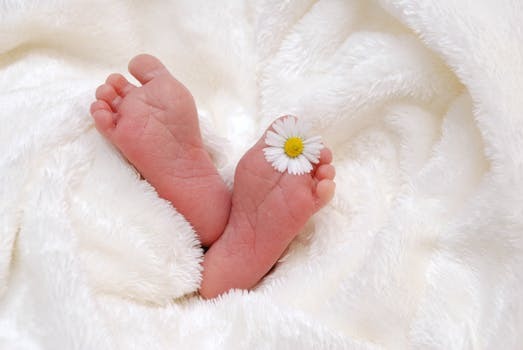 Spring has officially sprung, and if you have a baby due over the months that symbolise nature and new life, you might be thinking about choosing a suitably apt name for your new arrival. So here are 21 spring themed names for your bundle of joy. A name of one of the month’s most synonymous with the Spring. It comes from the latin “to open” which refers to the blooming of flowers. If you’re wanting a floral name that is a bit less common, why not opt for Amaryllis? This greek name, apart from its flower counterpart, also means “to sparkle”. How pretty is the name Blossom? This lovely name will remind everyone of the beautiful blossom tree’s and flowers that thrive in the Spring. This lovely name will be gorgeous for any little lady born in Spring. It literally means “relating to springtime.” Another version 0f this name is Cerella which could be shortened to Ella. This vintage name is the name of the greek goddess of the rainbow and thus means rainbow. It also derives from the iris flower. If your baby is born with gorgeous green eyes, why not call her Clover after the lucky wildflower? Pretty as a Primrose, this name means ‘first rose’, and is lovely for a first baby born in the spring. Again, if you’re looking for a floral name which is a bit more alternative to your more popular Daisy’s and Lily’s, Dahlia is a wonderful choice. This name comes from the flower of the same name, and originates from the Swedish botanist Anders Dahl. 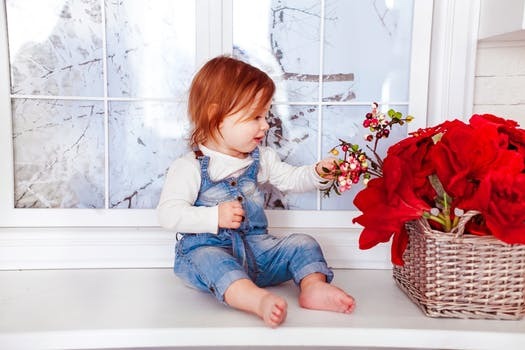 The French word for flower is a seriously pretty name for a little one. If you’re a big Harry Potter lover, this is a great nod to the books too. This name will suit both boys and girls, and is the perfect way to describe those cool may showers. 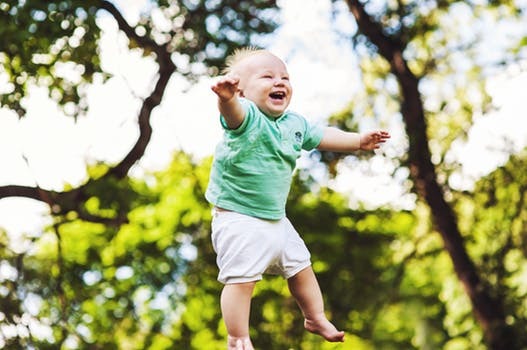 If your new baby is just a little slice of heaven, this biblical name based on the garden of Eden which means ” place of pleasure and delight,” will be perfect! This happy name is apt for any little boy or girl, and will remind you of those first few months of the year when the sun starts shining again. Another biblical name, Asher has gained popularity massively over the last few years reaching the top 100. Asher was one of Jacob’s 12 sons in the bible. This name means ‘green valley’ and is perfect for countryside babes. 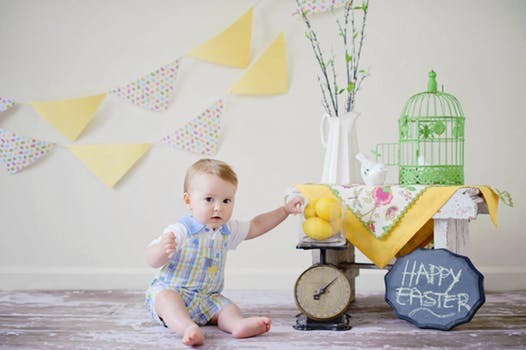 This rare name means “lives by the spring” and is perfect for a little boy born in the season. You could even give him the stylish nickname Wells for short. This Scottish name means ‘Magnus’ spring’ (or stream) and Max will make a lovely nickname for your little man too! The name Leif, meaning ‘descendant’ or ‘heir’ doesn’t really have any connotation to spring, but it is pronounced ‘leaf’ and may remind one of the fresh leaves on tree’s. The perfect name for your new little ‘buddy’, this name is a great way to describe the budding leaves and flowers seen in the spring months. This Spanish version of the name Xavier means ‘bright’, and will remind you of those fresh, sunny spring days, and bright flowers popping up from the ground. This Welsh name means ‘youth’ and for this reason, it’s the perfect name to describe your new baby and the season of re-birth. The male version of the name Heather, the name Heath is perfect for any free spirited little boy as it means “untended land where flowering shrubs grow.” It’s also a name held by the late, great Heath Ledger for Batman fans, and is a shortened version of the name Heathcliffe for those lovers of the book Wuthering Heights.